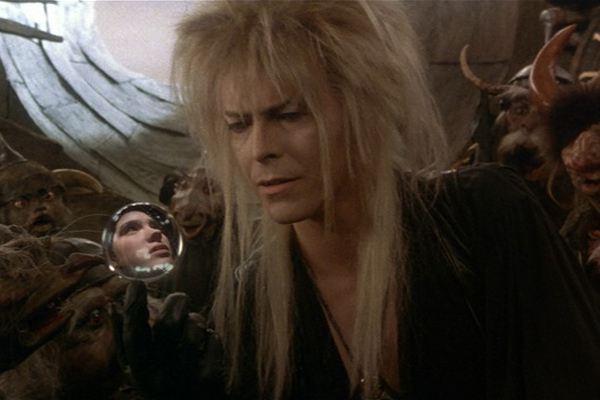 Labyrinth fans, this one’s for you. There are now adorable Labyrinth pins, and you need to grab them before the Goblin King steals them all! Nostalgia alert: movie fans, you need these Labyrinth items in your life, like right away. Back in 1986, the wonderful, wacky world of Goblin City came to life. And of course, we’re eating up rumors of the in-development Labyrinth universe film like candy! Now, you can take your fandom and movie appreciation to the next level with three amazing pins. Sure, it’s not like these pins will transport you into the movie alongside Sarah (Jennifer Connelly) as she journeys through a maze to save her brother. Nor will it give you the ability to meet with the Goblin King (David Bowie), but it will make you the talk of your friends. On Thursday, in honor of the 30th anniversary of the fantasy movie, three special-edition pins were released. 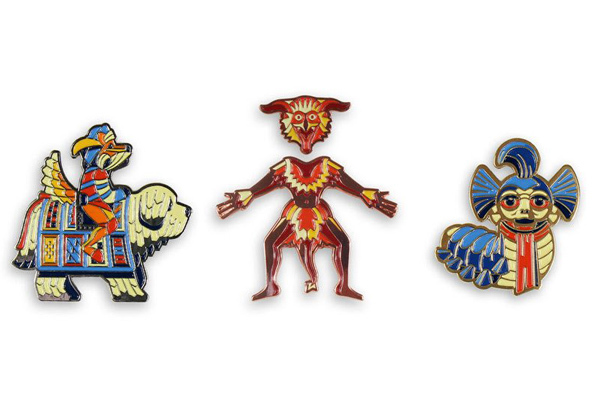 All three ornate pins are available to order on Mondo, which specializes in movie posters and merchandise. The three-pin set includes, the Sir Didymus and Ambrosius enamel pin (left), The Fireys two-pin set (middle), and the Worm (right). The designs for these movie-inspired pins were made by DKNG and they are definitely works of art. These funky collectables range from $10 to $15, which is a pretty great deal. You can get all three for $30, but they are going fast, so swoop them up ASAP. You don’t want to get lost in the maze or miss your chance to buy these gems before the Goblin King takes them all. That would be a total bummer. If pins aren’t your thing, there are even more Labyrinth items coming out soon. Our favorites — besides the epic pins — are the collectable figures. They are not available yet, but soon McFarlane Toys will offer Bowie’s iconic Goblin King character in figurine form. You know you want it. So, which pin are you going to buy first?